You are sitting there finishing up your meal, chatting with your friend across the table and then you start to feel it. It’s uncomfortable, you are in pain and slowly your pants get tighter and tighter – so much so that the button on your jeans starts pushing so hard against your belly button it feels that it might just blow off and hit the table next to you … it wasn’t overeating, its bloating. Ok, so while not everyone experiences this level of bloating and digestive pain – it sure is common, in fact, its one of the main symptoms that people come and see me about. 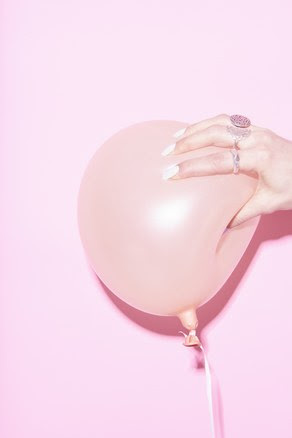 9 year olds and 99 year olds… we all can get it and there are some simple tricks up our sleeve to let the air out of the balloon, hypothetically speaking. Bloating doesn’t necessarily mean passing gas and having to burn matches to clear a room. It can often be physically seen, turns the abdomen into a hark rock and slow digestive processes (even to the point that the body freaks out and moves everything through very very quickly). Once we start listening to our body and hearing what it is trying to tell us, we also pick up on trigger foods that can cause this uncomfortable bloat. The simple thing is to remove it, the hard thing is finding it – especially when it changes weekly, monthly and around your period. Unfortunately, it isn’t about taking something away and moving on, it’s about finding foods to nourish and heal the gut lining so this reaction doesn’t occur…or reduce the reaction that does occur. If we only took things out – sometimes there wouldn’t be anything left to put back in. Saying that, there are common triggers that can be a good place to start. Oh gluten, you oh so pesky little inflammatory protein! Gluten is one of the most common causes of digestive upset. If you are coeliac this little protein can cause enough havoc, that it starts to create an autoimmune response! Cause long-term damage and extensive health concerns including bleeding and nutritional deficiencies. For those of us who are not coeliac and still can’t tolerate it, we can experience symptoms of digestive upset, bloating, constipation and even reproductive health concerns. Sometimes these symptoms can be accumulative and build up over time and for others it’s instant. Dairy is often the second thing to investigate. While everyone worries about lactose; the sugar found in dairy products – Casein; the protein found in some dairy products can cause just as much havoc! Interestingly, clinically I am seeing that lactose increases bowel motions whereas casein can slow them down. So, it hurts, you are uncomfortable … now what? When you are experiencing the stabbing pain of bloating and digestive upset, you want a quick and easy solution! Here are some simple steps to get you started. Make that chamomile and ginger tea. Chamomile has a carminative effect on our digestive system and ginger can help warm it up and get the circulation moving. Stay hydrated. Move the food, keep the bowels hydrated and support natural elimination pathways. Eat warm. Enjoy foods that are energetically warm. Now is not the time for smoothies, salads and nicecream. Sipping drinks like bone broth are not only warming but also rich in minerals and gut healing properites. Take a probiotic that is right for you. The microbiome is a vast vast world, and there are many products on the market which may not be right for you and your needs at that time. Your body is going through a lot, and its sore. Grab a hot water bottle, sip your tea and unwind. When you do eat, take the time and eat slow. Allow the food to really be broken down and digest. Foods such as kiwi fruit, paw paw and papaya, pineapple are all rich in digestive enzymes. These foods can help to kick start the digestive processes and increse the bodys ability to break down food. Bloating and digestive concerns can be a chronic illness, speak with your healthcare professional and GP if symptoms continue. Testing may be required to determine the cause of your discomfort.